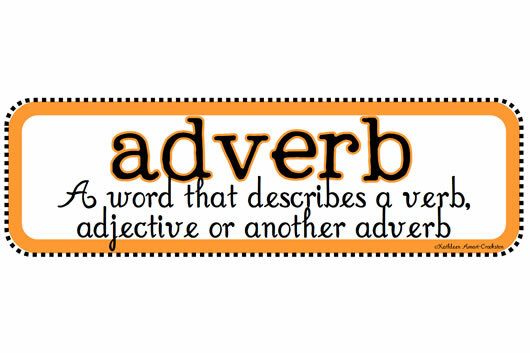 An adverb is a word that modifies a verb. An adverb does what its name suggests; it adds to a verb. It modifies and adds clarification and more information to a verb. For example: He runs slowly. In this scenario, run is the verb, and slowly is the adverb because it is adding more information to the verb, i.e. run. In addition to a verb, an adverb also modifies an adjective, other adverb, clause, or sentence. It changes or simplifies the meaning of these things. It expressed the manner, place, time, or degree of the verb, adjective, adverb, etc. An easy way of understanding adverbs is to understand that the adverb aims to answer questions such as how, in what way, when, where, and to what extent. For example: He plays the piano beautifully. – How does he play the piano? Beautifully. Hence, in this case, beautifully is the adverb. Mary finished the test fastest. He is an extremely nice boy. Tom is a very graceful athlete. He finished the task thoroughly. Harry easily lifted the desk. She hid the candy nearby. Afterwards she smoked a cigarette. Obviously, I don’t know anything.